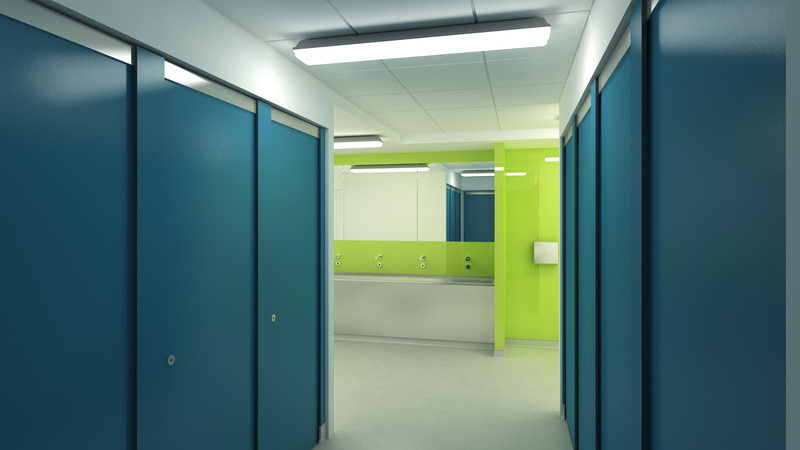 This project involves the provision of additional floor space at the University’s Steve Biko Building, home of the University Students’ Union. 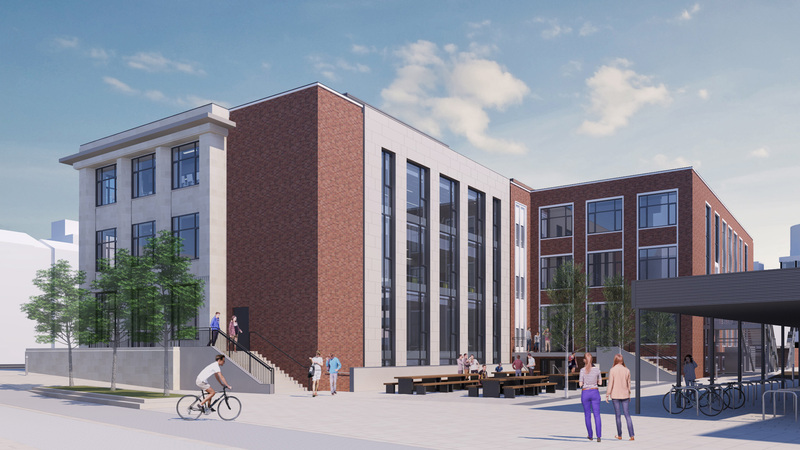 The design seeks to build on the quality of the commercial areas of the building whilst enhancing and extending the facilities for the student facing areas, which are the essence of the Students’ Union. 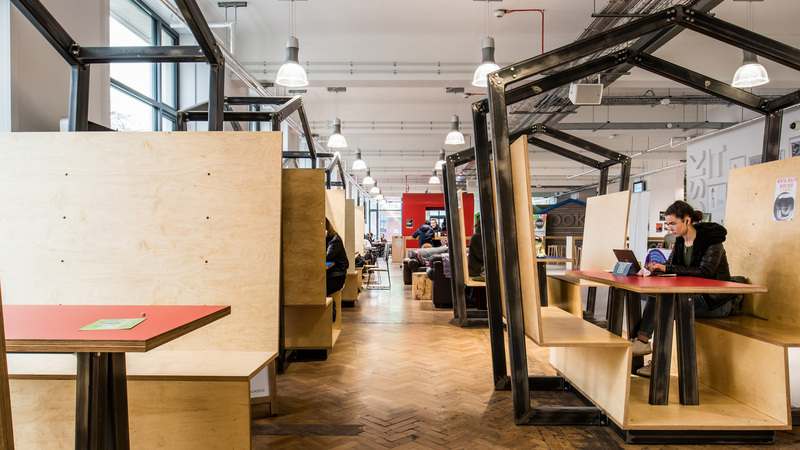 Strong infrastructure within flexible open plan spaces allows for simplified orientation whilst providing identity at each level. 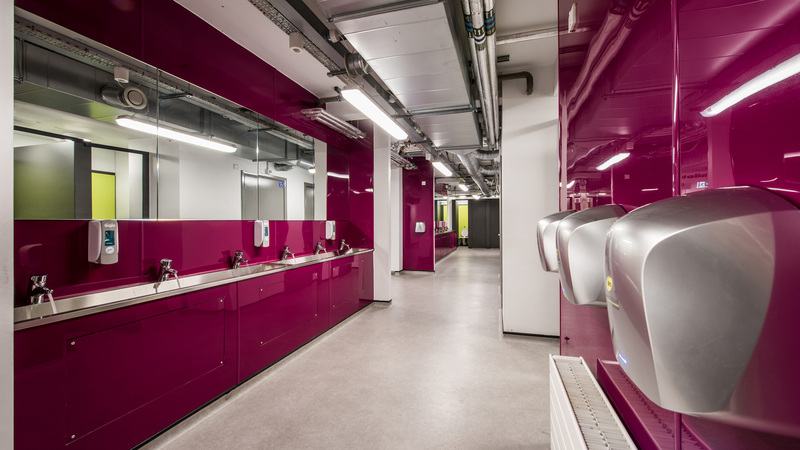 This approach facilitates the opportunity for the building to evolve and reflect the transitional nature of the students. 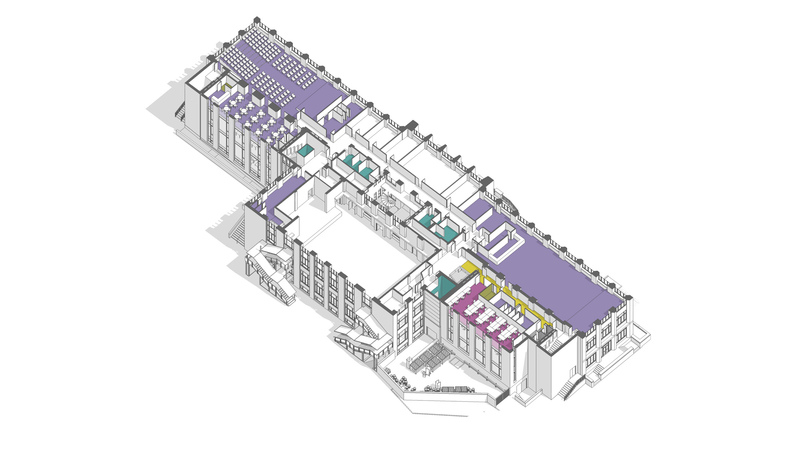 The University of Manchester Students’ Union has committed funding to ensure the spaces in the extended building deliver the objectives set by the trustee board. This has been achieved through the provision of fast-casual food, coffee, grab and go retail, branded merchandise, and stationary outlets. 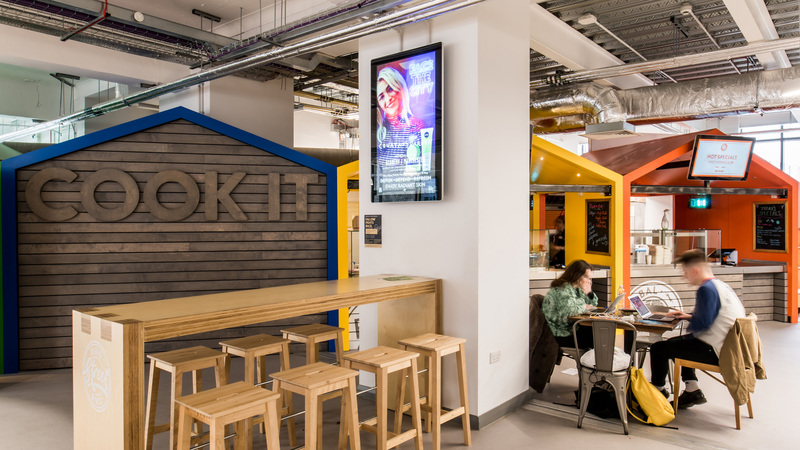 Alongside the new retail spaces – and as one of Europe’s largest combined gig and venue spaces – the works look to modernise and extend its performance spaces with a new purpose-built theatre.